"The book ought to be required reading for every planner and student of planning . . . a magnificent achievement." --Town and Country Planning. 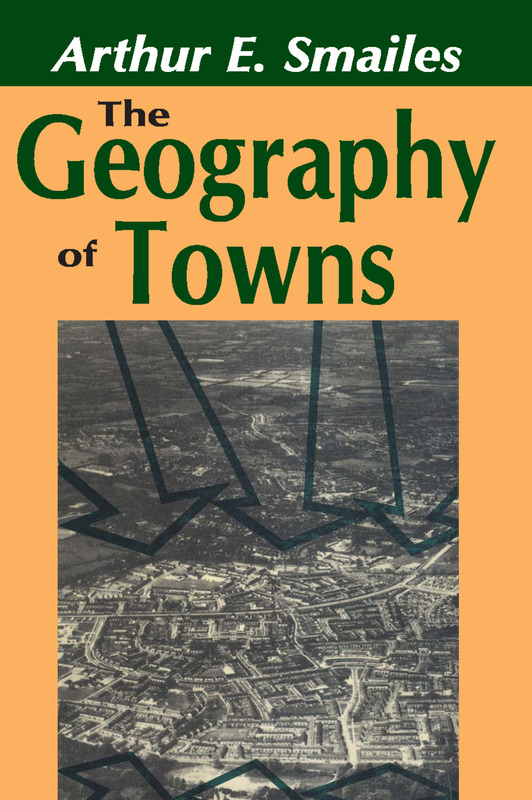 The Geography of Towns provides a concise but thorough introduction to the important subject of urban geography. It traces the development of urban areas from the earliest sites of Nineveh, Aleppo, and Agade to modern megalopolises and strip cities, and deals authoritatively with problems of classification and ranking, location and type, origins, and course of development, and the relationship of the city to its region and nation. All facets of urban geography are covered, including the core, integuments, population structure, land-use patterns, enclaves, and town structure. Population mobility and the continual crisscross circulation of populations within and between town and region are seen as important forces affecting the internal geography of towns. The author questions the usefulness or validity of such terms as "neighborhood" and stresses the need for more meaningful conceptualizations and vocabulary. One of the fundamental problems connected with urban geography is to assist in the planning of future cities. This book contributes substantially to an understanding of the interrelations of town and region and to an understanding of the components of the city itself which are essential to intelligent planning for the future.